*There’s nothing more “Hollywood” you can do in Hollywoodland than attending a FREE TV show taping! If you live in/or will be in Los Angeles/Southern California, peep the details below for a chance to get yourself guaranteed priority seats for a live studio audience taping of Superior Donuts. If you missed all the excitement from Season 1 of the hit CBS comedy, get caught up here and get ready for the second season premiere on Monday, Oct. 30 9:30/8:30c. Starring Judd Hirsh and Jermaine Fowler, the comedy centers on the owner of a small donut shop that’s located in a quickly gentrifying Chicago neighborhood. Los Angeles residents, for your chance to cop tickets, simply read the official rules below and submit the entry form. 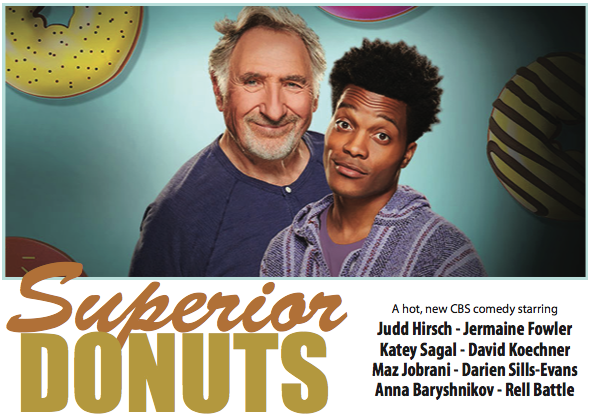 The Superior Donuts taping will be held on NOVEMBER 7, 2017 (3:30pm – 9:00pm) at CBS Center Studios (4024 Radford Ave, Studio City, CA 91604). Winner must arrive and check-in no later than 3:30pm for guaranteed entry. Winner will receive TWO PRIORITY SEATING TICKETS. Audience members are not paid. Winner must provide own transportation to studio taping.